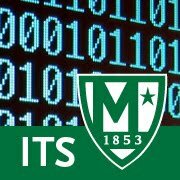 ITS teams will be extremely busy closing out summer projects and preparing classrooms and computer labs for the Fall 2017 semester from Monday 8/14- Friday 8/25. Response times will be slower than normal and priority will be given to classroom and network support requests. We apologize for any inconvenience.